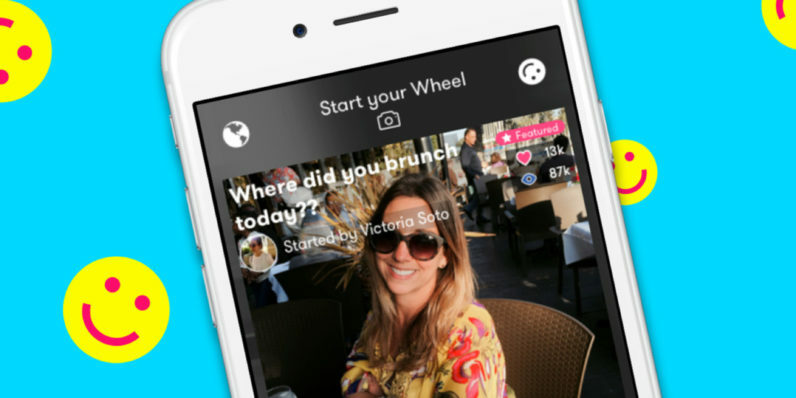 Tinder today announced that it’s acquired L.A. startup Wheel for an undisclosed sum. The little-known Wheel was a social network for video stories – the type of which Facebook, Instagram, and Snapchat all offer. According to TechCrunch, the idea behind Wheel (originally called Ferris) was to offer a way for people to create their own ‘easy, fun, and watchable’ mobile videos. The service also included a collaborative element that lets people work on videos with family and friends. When we first covered it, we were optimistic. Then-editor Martin Bryant suggested that it could “win where Facebook failed” when it comes to social video. Wheel got off to a promising start. During its short life, it raised $2 million from several investors, including Upfront Ventures and Machinima founder Allen DeBevoise. Data from App Annie shows that it’s the 574th most popular app in the Photo and Video category on the App Store. Fortunately, Tinder isn’t buying Wheel for its community, but rather its talent and technology. Wheel will be used to introduce Snapchat Story-type elements into the popular dating app, while the founding team will join Tinder. According to Variety, Wheel CEO Paul Boukadakis will join as VP of Special Initiatives at Tinder, while CTO Chris Shaheen will be a senior engineer.